UNESCO will deliver on the promise of gender equality through advocacy, policy dialogue, partnerships and strategic alliances. Within the Secretariat, UNESCO will pursue a common vision and goal at all levels of the Organization through ongoing capacity development and strengthened accountability structures, striving for institutional excellence. With external stakeholders, UNESCO will invest in and focus on girls and boys, women and men in all age groups and pay special attention to the needs of boys and girls, women and men in conflict, post-conflict, emergency and postemergency situations. 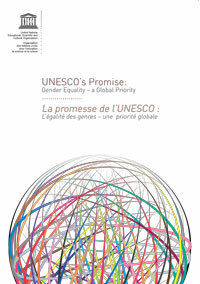 In line with UNESCO’s focus on specific priority groups, UNESCO will address specific gender equality issues in Small Island Developing States, indigenous peoples, youth, the least developed countries.